I just came from a prospect meeting and I can’t stress this enough, EVERYONE NEEDS A WEBSITE. If you’re in business in any capacity you need an website. It’s just the times and age we live in. 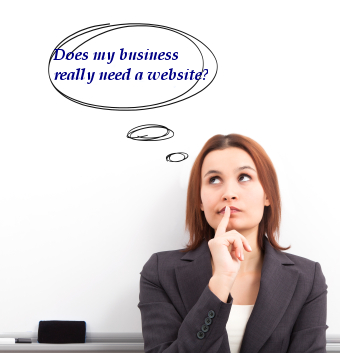 In this post I’ll share with you the two reasons why you need a good website. Especially if you’re in network marketing, insurance or financial planning. As I always say if you don’t have a website your business doesn’t exist. By having your own website you can create your style of business and directly address the needs your target market. offering quality content with no strings attached, you’ll notice that people will tend to gravitate to you as a genuine thought leader in the industry. Today’s consumer doesn’t tolerate marketing messages but will become your biggest advocate if you solve their problems. That’s the kind of guy/gal you want to be “the problem solver.” Problem solvers get likes, shares and followers with little effort of their own. The content does all the work for them. By establishing your personal brand of how you do business you will be separating yourself from the pack by becoming a person brand while all others are still cold, faceless avatars spamming the life out their network. Your website is your biggest asset; especially if you’re in the insurance, financial planning or network marketing industries. Let’s say your switch companies and are just using the basic el cheapo website they provide. You’ve lost everything because it stays with that company. Worst of all, you’re in a position where you have to start from scratch with your marketing efforts. Hire a web designer to build you a lead generating WordPress website using www.yourname.com as the domain name. Begin creating content in various forms. Write a blog at least weekly, a podcast Q&A of all the questions you received from this week. Make short videos on Youtube to show and tell your expertise. Participate on social media sharing your content and engaging those in the network. These actions will begin attracting new people to the website. As new people subscribe reach out to them on social media and thank them for joining up. Offer a free no-pressure consultation via google hangouts or skype. This step alone will knock the socks off your prospect and they’ll see you as a leader in the marketplace. Not only that, you now have the ability to listen in on what your leads are talking about so you can offer the right product/service at the perfect time. 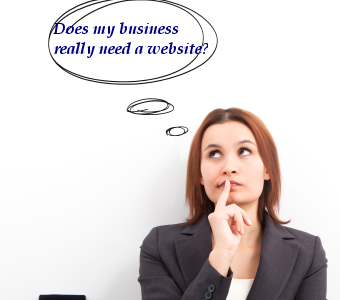 Everyone in business needs a website. There’s no greater tool to establish credibility, build trust, generate buzz and grow your lead base. If you’ve been on the fence about having a website, the choice is clear; you need one.